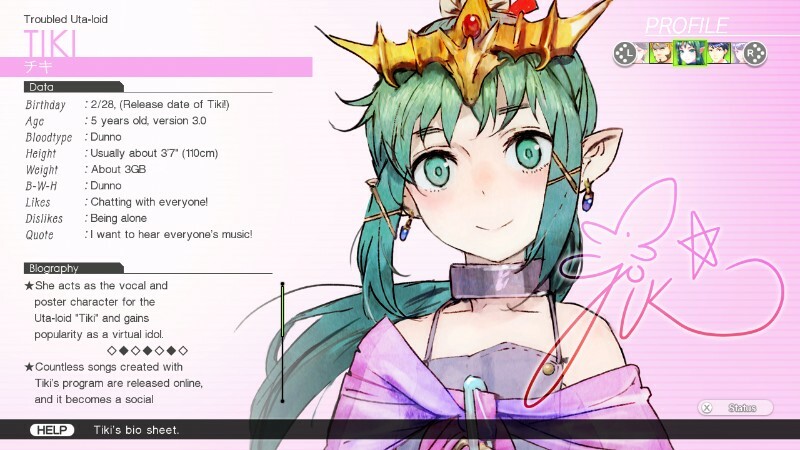 Author’s Note: Before I begin, I’d like to make a quick note about Tokyo Mirage Sessions #FE and the reception it was receiving from fans prior to release. I am aware of the controversy surrounding the censorship in this game. However, I will be reviewing this game without taking the censorship into account, although I do still believe that it is important and deserves to be addressed. As such, I have also written a full editorial on the subject to serve as a companion to this review, to express my feelings and opinions regarding it. It’s finally here. 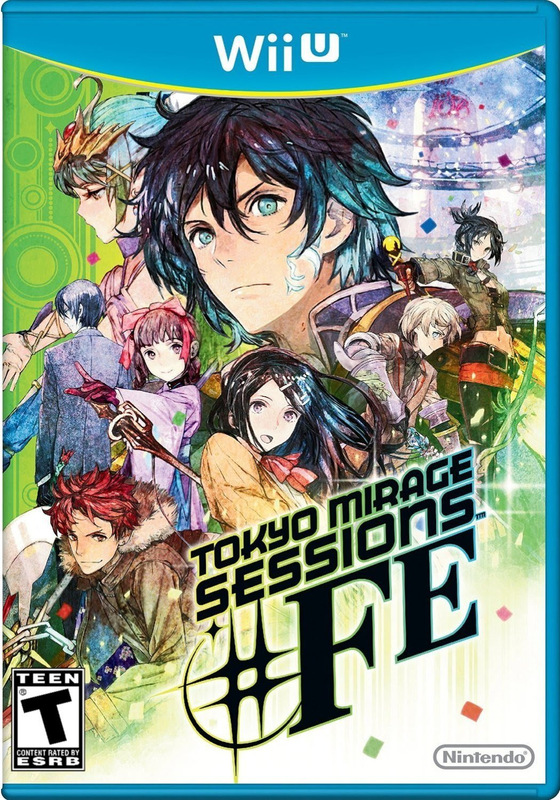 After Shin Megami Tensei X Fire Emblem was announced during a Nintendo Direct in January 2013, Nintendo and Atlus were quiet about the game until E3 2014, where it was officially revealed in the form it has now, much to the disappointment of fans who were anticipating something more reminiscent of either of the franchises the game now known as Tokyo Mirage Sessions #FE was a part of. Even amidst people calling it out as just being another Persona-style game, I was still excited for it. Even as people were crying doom and gloom, and even when we were learning about the changes to the English version, I still stayed hopeful for it. After everything, did it live up to my expectations? Not exactly the crossover people expected. 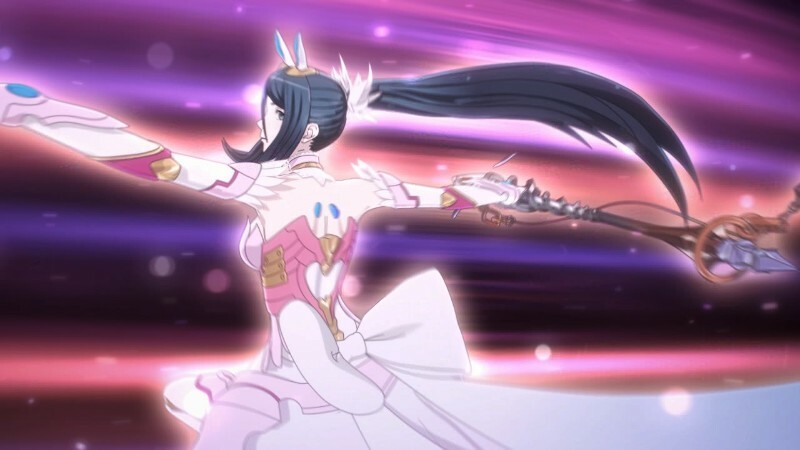 Tokyo Mirage Sessions #FE (that’s pronounced “Sharp F E”) is a collaboration between Nintendo and Atlus, and a crossover of sorts between the Megami Tensei franchise and the Fire Emblem series. Ultimately it strives to be its own spin-off from MegaTen, and is completely distinct in terms of tone, setting and themes from the rest of the franchise. It borrows some characters, gameplay elements, and story from the Fire Emblem series, as well, while the main gameplay base is mostly inspired by Shin Megami Tensei, while also adding enough new pieces to feel like its own entity. There’s some really nice animation in the concert sequences. The gameplay is where Tokyo Mirage Sessions #FE shines the brightest. Recent Shin Megami Tensei games (and other spin-offs related to it) have been very good about rewarding players for exploiting enemy weaknesses, and this game is no exception, with the new Session system. Whenever a character hits an enemy weakness or uses a Special Performance, other party members will attack afterwards in sequence, chaining their attacks together depending on the types of Session Skills they have. Initially, only characters in your active party can participate in Sessions, but, as the game goes on, characters gain the ability to participate in them from outside the party, as well. It’s possible to switch characters out of the main party mid-combat, aside from protagonist Itsuki Aoi, even between actions in cases where a party member can act more than once in a round. It lends quite a bit of flexibility to the party, where if your party is poorly suited to a situation, you can hotswitch one of them out for someone more appropriate. The game is set to manually controlling the full party by default, although it is possible to switch to AI control of everyone other than Itsuki if you want to. I never did, so I can’t speak for the quality of the ally AI in combat. 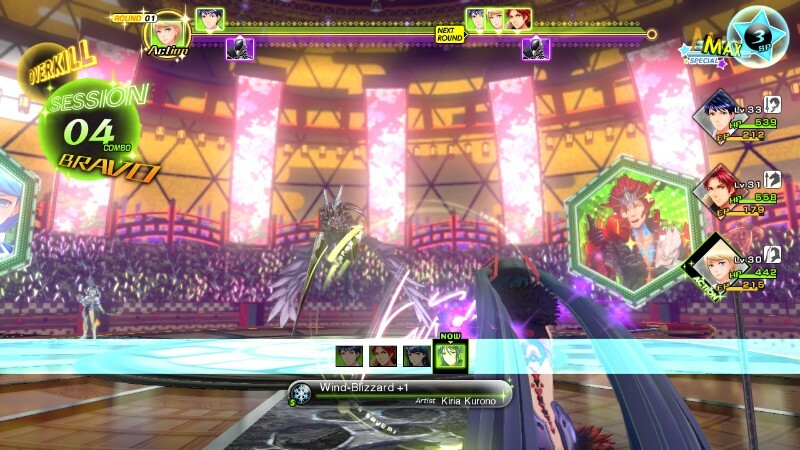 Characters’ signatures appear in front of them while using magic skills. In keeping with the game’s heavy roots in the modern Japanese entertainment industry, all the in-game music is produced by entertainment giant Avex Group. The songs are composed by Yoshiaki Fujisawa, known for composing music for anime series such as Dimension W, Gate, Yuru Yuri, and most notably Love Live! School Idol Project. 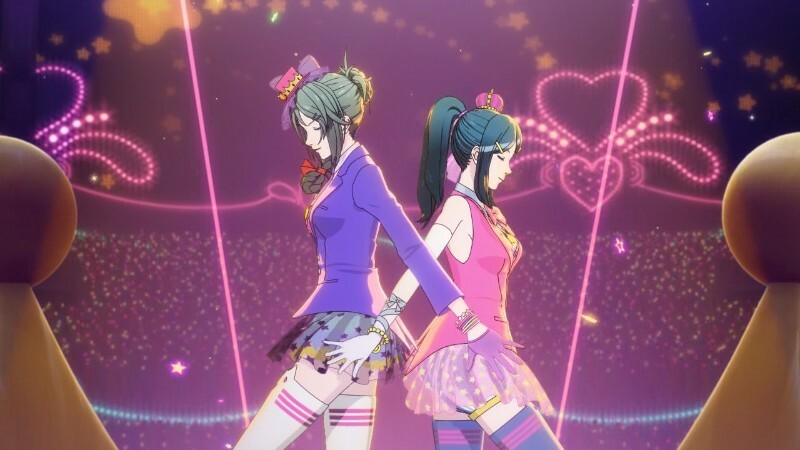 There are several vocal numbers, performed by the characters’ voice actors, with each playable character having at least one vocal theme, and some having multiple solos, as well as duets with other characters in the party. The duets have a gameplay aspect with Duo Arts, which have a chance of activating during a Session, dealing extra damage, extending the Session and often aiding the party. The vocal songs all stand out as some of the best J-pop I’ve ever heard, and they each do a great job of capturing the personality of the characters singing them. Although all the lyrics are in Japanese, as are all the voices, the game includes an English version of the lyrics in the subtitles, which fit the rhythm of the song. It’s a nice touch. The normal background music is generally solid, as well, with some of the standouts being the later-game boss theme and the song played during certain event battles during side stories. I can’t comment on the quality of the voice acting, since I don’t speak Japanese. 3 GB? What kind of voice bank takes up only 3 GB? Audio files are way bigger than that.